The bench is used when the vehicle structure’s been distorted by a severe impact. It helps the panel beater bring back the reference points of the vehicle structure to the manufacturers’ recommended norms. The bench’s unit of measure is the millimetre. Examples of reference points are: the shock absorbers’ anchor points, the points that hold the engine or the chassis legs. 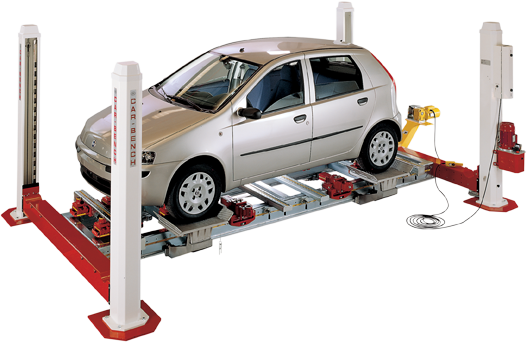 The precision of the bench guarantees that the repaired vehicles are in compliance with the manufacturers’ norms. Standard manufacturers’ tint codes are not always reliable as variations occur due to OEM paint chains and the aging effects on paint. 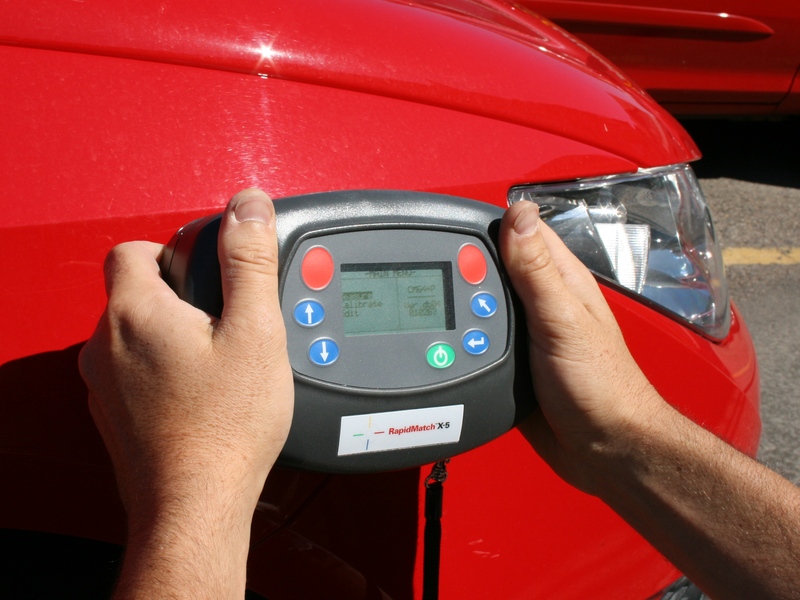 To determine matching tints, Carrosserie Bussy uses a spectrophotometer. This tool is a real asset for car painters, who repair an ever increasing number of car makes and models, presenting a greater diversity of tints and special effects. Its software determines – quickly and accurately – the closest matching formula, be it for standard, metal or pearl paints. It also reduces the margin of error when selecting a tint, thus improving the productivity of car repair centers. The spectrophotometer is placed at five different places on the vehicle’s body to match the color. The apparatus defines the tint and its software processes the data to provide the painter with the exact formula of the tint. If the spectrophotometer does not find the original formula of the vehicle, it will identify a color that most closely matches it and indicate the confidence level. 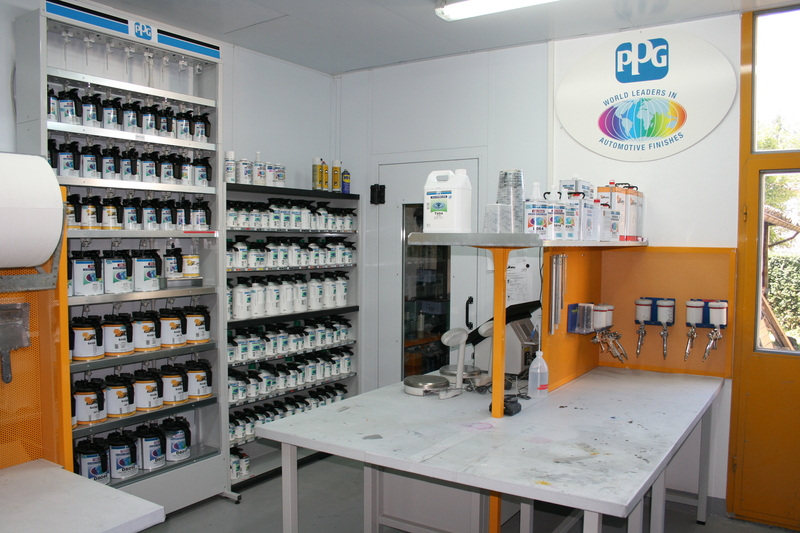 Our painting department is equipped with a new paints station comprised of the latest and most efficient materials.